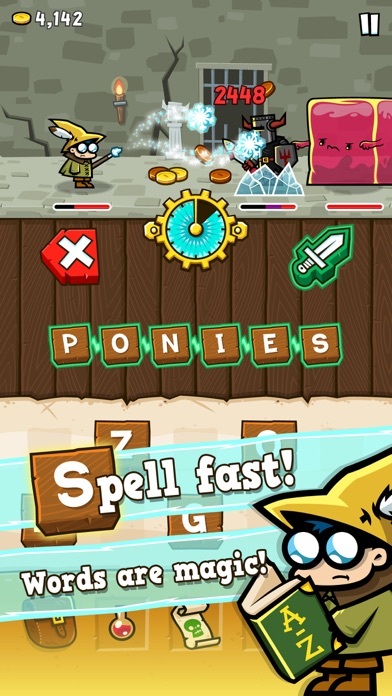 Blast fiends by spelling words and make your way to the top of the Spellspire! 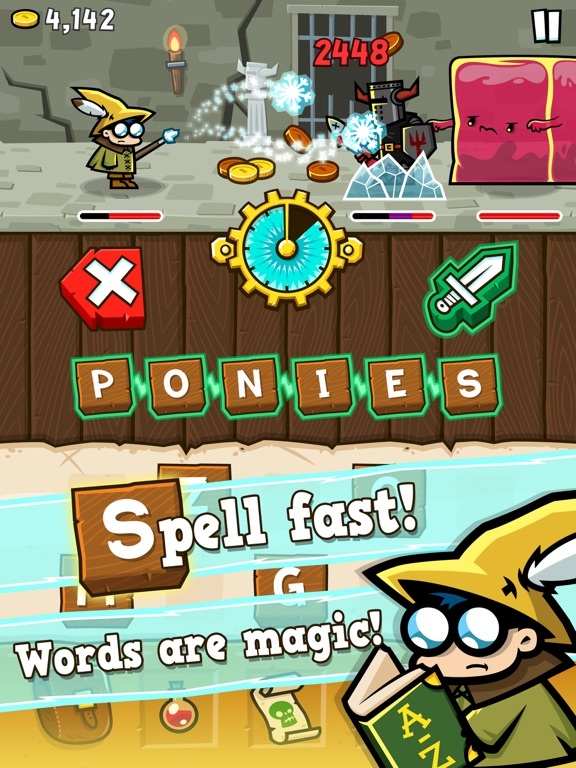 Spellspire is a thrilling mashup of word game and action role playing game. Pick letters from a grid to spell words and shoot them from your wand as spells. The longer the word, the bigger the blast! 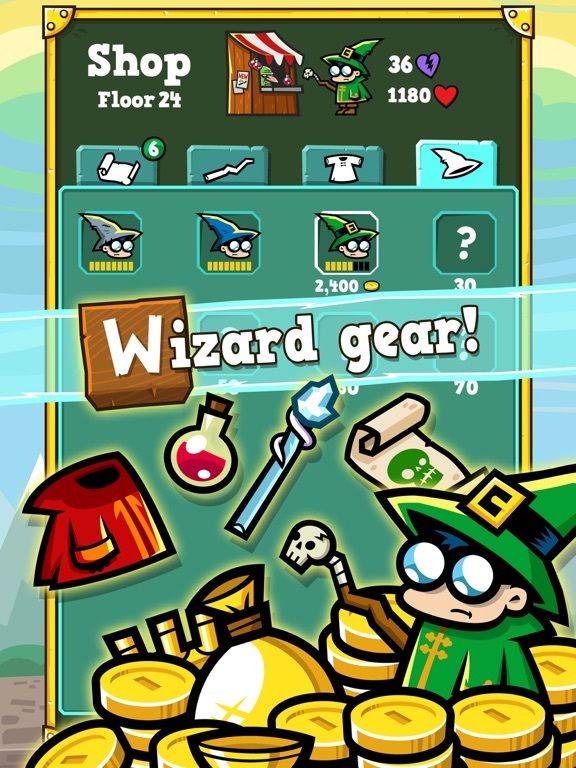 Collect gold dropped by slain monsters and buy more potent wands, hats and robes with magical special effects and abilities. Will you reach the top of the Spellspire, and what will you find? Features: - Exciting mashup of word game and action role playing game - Pick letters to spell words - Collect gold and buy better items between levels - Use consumable magical items to push through tough encounters - Team up against the monsters with your Facebook friends! 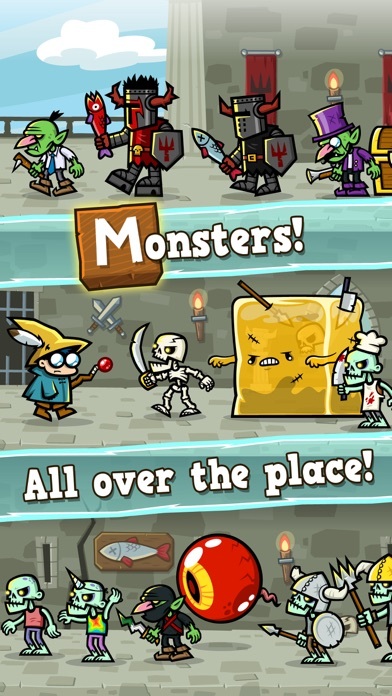 - iCloud support for save games - Supports iPhone 6 / Plus new resolutions! I always loved 10tons games. From the release of the App Store to my years on BlackBerry. The last few releases have been a bit too F2P for my tastes though. Hopefully this will have a premium option or a better F2P model. Looks rad. It's been a while since i played an educational/stay in touch wordgame, that's why i prefer games where possible words get highlighted. This way i can try to score some Hail Mary's in the end, at least, though i rather have enough time to look up my dictionary here and there. Not english native, time pressure and life system is simply too fast, too lethal for me. 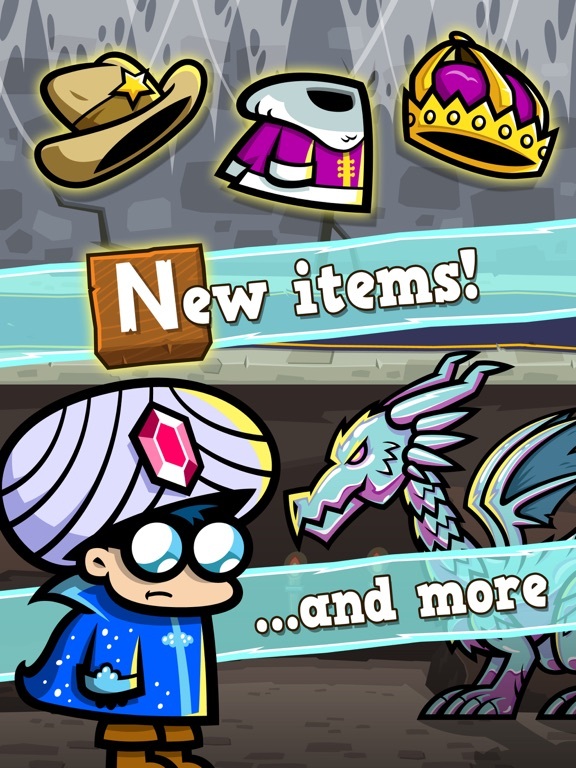 Here is so much stuff to buy/popping up, please tell me i missed the get-rid-of-lives iap. I've only played the first five stages. Early impression here is this is fun. I like how I can quickly tap in the words as I find them. 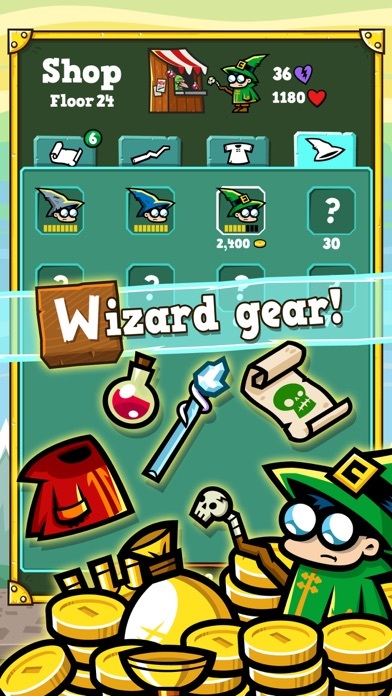 There's various weapons, armor, and hats to earn and upgrade. As expected there's IAP for coins. 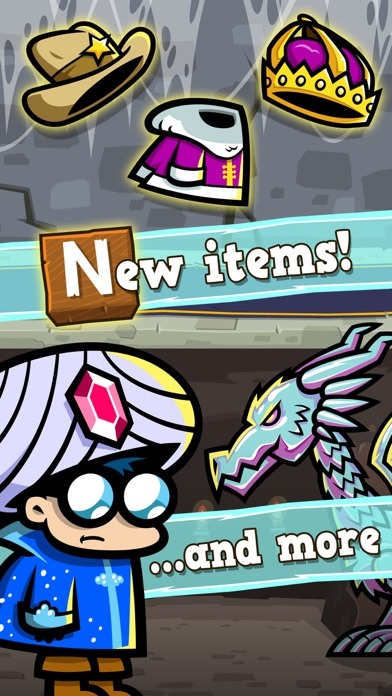 I do see a couple non-consumable items for 50% more monster gold and a 2nd timer chest with goodies. The IAPs seem tame but I wasn't able to see a permanent IAP for the timers (lives)... Is there anything that would counter that, maybe in later levels? Wondering the same thing. That's the IAP I'd buy. So far the "refill lives" IAP is 98 cents to refill once, which is silly. You'd be shelling out 1 or more dollars a day. This isn't Clash Royale, people. Played a bit more but I couldn't see any permanent IAP to remove the timers. I was going to buy the golden boots + 2nd bag IAPs since they are permanent but decided against it, I won't invest in a game with timers if you can't get rid of them. Too bad because the core game is actually interesting, good luck to those who continue. Hate games with timers. This game is fun but I really do wish it had a $4.99 unlimited lives option but I'll play it here and there. I don't spend money on games with lives (unless it is to remove them) though so it'll be a completely free playthrough. I say this respectfully, I hope 10tons are reading and listening to these comments because they have a cool game here, and it will slowly die and disappear if they don't make some changes. 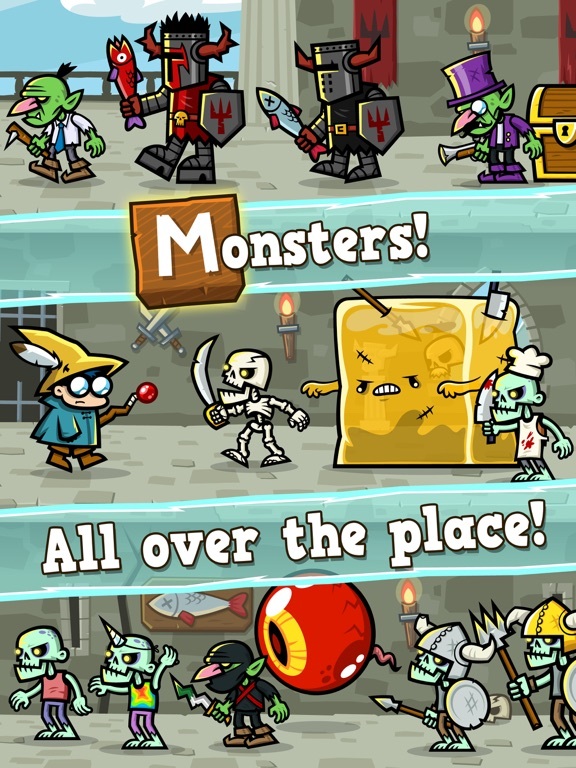 Looks like a clone of the great game Letter Quest:Grimm's Journey. 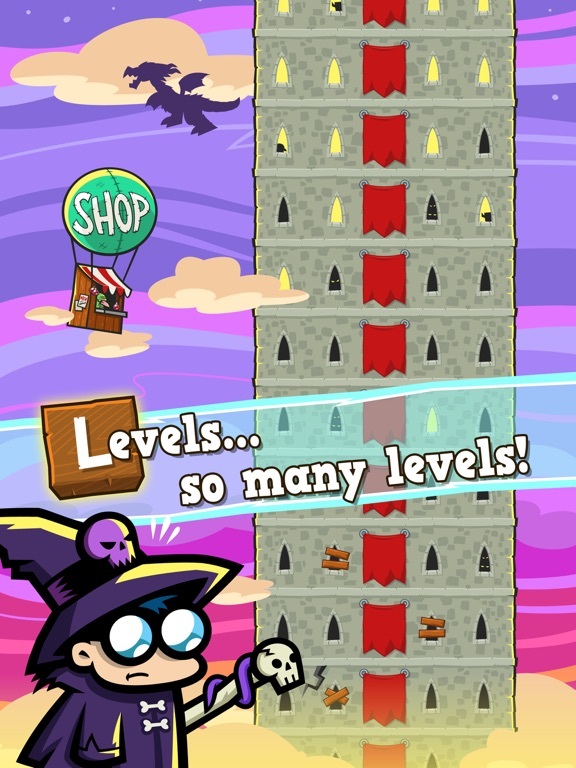 Having trouble passing level 10 without needing to buy a continue for 99 cents, and I'm assuming you only get the one. I got it in the end! Realized I'd switched weapons and armor. When I used the one that delays the first attack for a little bit, I got through it with just a bit of time to spare. So I found out that there's a postgame after the 100th floor of the tower. For anybody who has gotten that far, or has info, do you have an idea if the postgame (no-spoilers terminology here lol!) ends after a certain level or it would just go on forever? Will let you know when I get there I am at Level 30. Really cool game. Couple comments. 1. Polished presentation and slick but simple graphics. 2. Nice sense of progression in beginning. Purchases feel powerful and Unlocks empower the player. 3. Non-repetitive cycling of different letters encourage mastery of given letter set. Nice addition to what is normally a very procedural (random) genre of game. 1. Continues cost $1. One dollar. One... (exasperated) Dollar. To continue. The hell. 2. Game is impossible without the gold Unlock, as gold prices are literally Wayward Souls crazy fairly soonish into the game. Which is $3. Unlocking second slot for items (which is often necessary for challenge modes) costs 2400 gold. Although if you pay $1 you can get 10,000 gold and easily afford the second slot, early levels only give out handfuls. I played the game and ended up dying on the 7th floor, and without spending money, have to wait a half hour for another life (even though I barely played for ten minutes). 3. 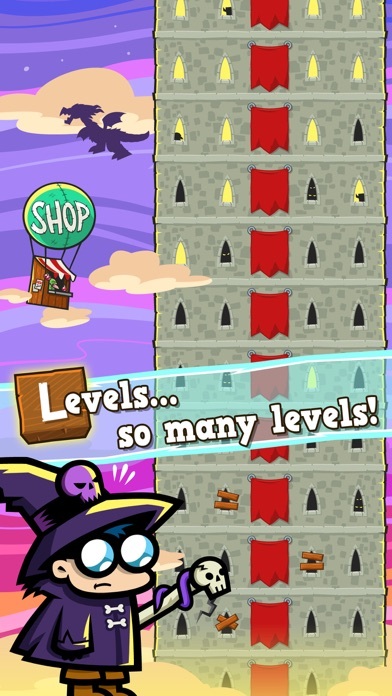 Lives are required to play challenge levels, basically forcing you to choose to either grind or progress. In typical ftp offerings, grinding is always limited (tickets) while progression is separated by an energy currency. Not having tickets means you cannot grind if you want to progress, and visa verse (unless you cheat and/or are amazing at Scrabble-type games).